Bachelorette party? Girls Weekend? Celebration? Event? Looking for a fun activity for a girls night in? Or maybe you are heading to Dallas for your bachelorette party and want a girly activity while you are in town as part of the bach weekend. Do you have a bridal shower or a baby shower coming up and want to have a flowery-shower activity? 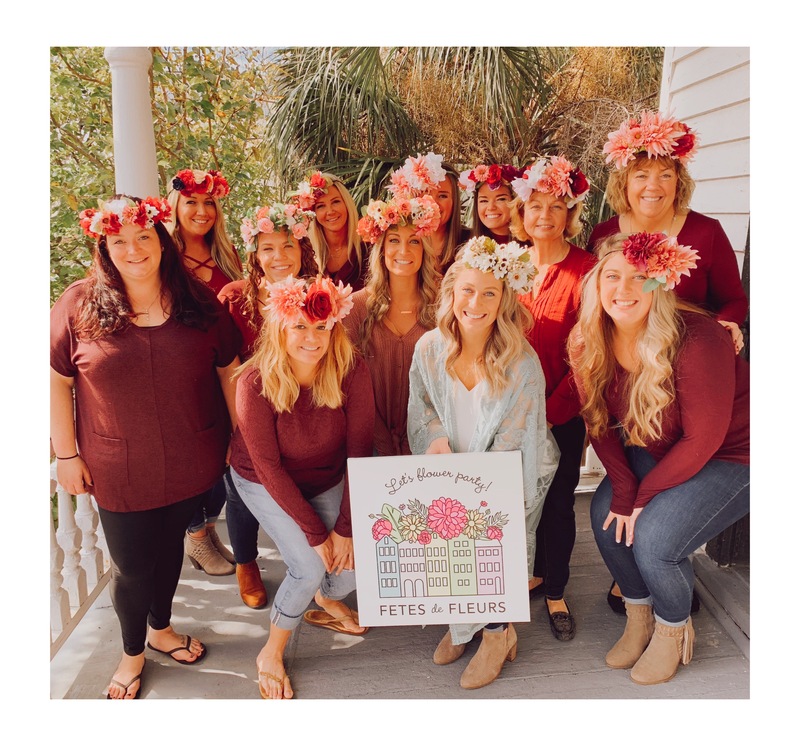 We host flower crown workshops, flower crown bars, make one off flower crowns as well as other floral fun workshops like floral arranging. Request more information for your party or event by filling out the form here. Hope to flower party with you soon DALLAS!